We want this year’s EPIC Cup to be the best ever, and a big part of that is competitive games. There’s an old adage in business: What gets measured gets done. So we’ve come up with two key performance indicators (KPIs) to measure competitiveness and, more importantly, created a Competition Committee to brainstorm ways to improve, including a more thorough review of each team’s resume and the opportunity for teams to petition for division reassignment. We’ve come up with two Key Performance Indicators (KPIs) for competitiveness: Average Margin of Victory, and Percentage of Games Exceeding Goal Differential Max. We’re going to be measuring this at The EPIC Cup, and we’ll use past years as benchmarks. Avg. Margin of Victory 2.76 3.50 ? % Games Margin >4 22.5% 28.3% ? In 2018, the the average difference between the score of the winning team and the losing team was 3.50 goals. 28.3% of games ended with a goal differential of more than 4 goals, which was the maximum for calculating standings and tiebreakers. That may be great for the stats geeks, but a case study illustrates an error we made in 2018 that we hope to avoid in 2019: our 2018 U10 Boys age group. This wasn’t ideal for any of the 8 teams involved. Now, it’s unrealistic to think divisions are all going to be perfectly balanced and everyone is going to go 1-1-1 or tie all three games. Often the team that wins a division ends up 3-0-0, but we never want to have two teams with true goal differentials of 39 and 38 goals. 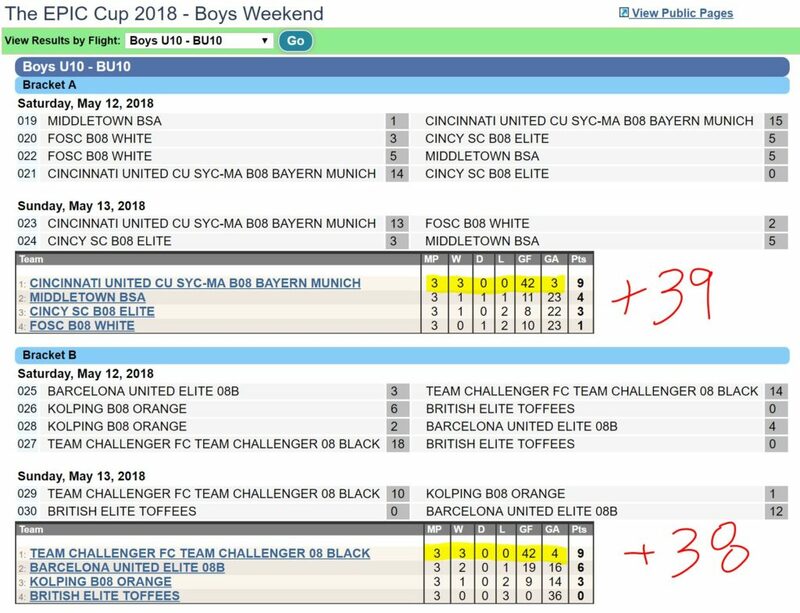 These teams should have played up at U11 and perhaps their coaches needed to be reminded that the goal differential max was 4. 3 teams requested “Upper” while 5 requested “Lower” divisions. 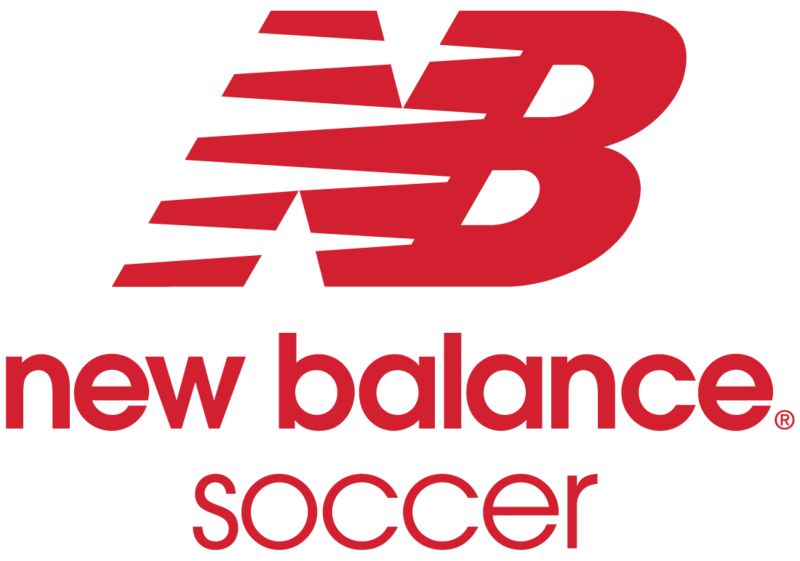 Eight teams applied at U10 and three teams requested upper while five requested lower. While a 5-team group works, a 3-team group isn’t possible. 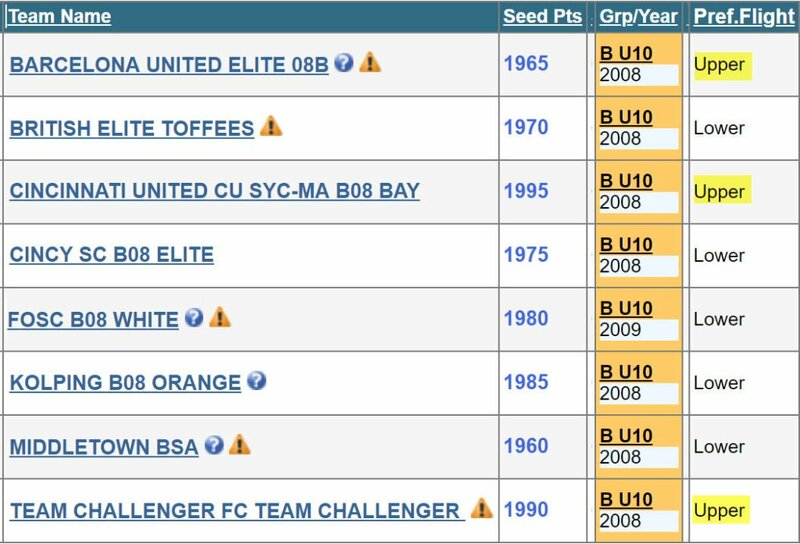 The U11 age group could have been modified to handle two more teams if we moved teams up, but it wouldn’t have worked with three more. So one of the three teams that requested the upper division probably would have needed to stay at U10. Further complicating a division move, U10 plays 7v7 but U11 plays 9v9. Would a 6-team flight at U10 have worked? Absolutely. And, assuming we correctly chose the two teams with the +39 and +38 goal differential to move up to U11, the goal differential of the remaining six teams would have been: +2, 0, -2, +14, +4, -18. Much more competitive. Created our Competition Committee to oversee team ranking and division placement, whose performance will be measured by the above KPIs. Launched an information gathering process, including an opportunity for coaches and team managers to provide more detail on their team’s level. Communication plan to ensure awareness among coaches, referees, and parents that the max goal differential is 4 goals/game. We’re looking forward to two EPIC weekends and we’ll share our results here.